Coachella weekend one has come to an end, and in case you spent your Saturday and Sunday enjoying yourself instead of, I don’t know, sitting around and watching a #Couchcella live stream, you didn’t miss much. Ariana Grande brought out NSYNC sans Justin Timberlake. A fire broke out on the campgrounds but everyone was safe, thank goodness. Billie Eilish forgot her own lyrics. Idris Elba was a DJ. And most important of all, famous people wore stuff. And what did they wear? Was it cool? Who was the coolest? If a cool outfit happens and no one is around to Instagram it, did it happen at all? 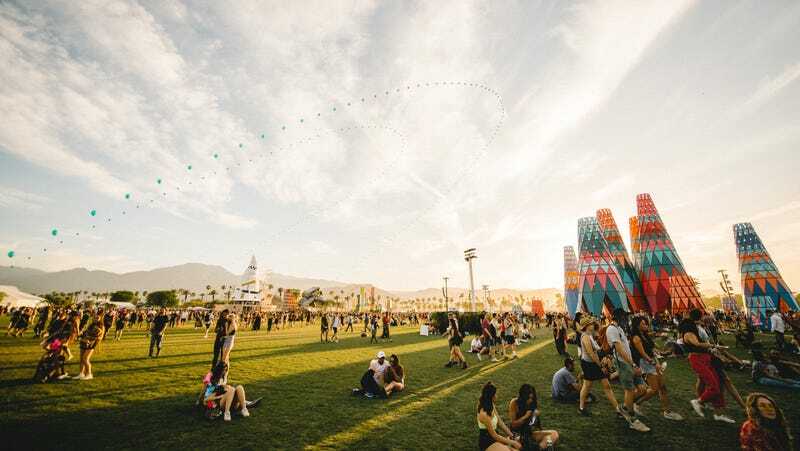 The answer is probably no—everyone knows Coachella isn’t a music festival as much as it is a place to, like, take cute pics and maybe see a rogue, hungover Halsey. But as a non-rich person, I feel it is up to me to show you the looks. So, uh, let’s look. Gigi Hadid has me genuinely concerned that she is about to a) go through a Grateful Dead phase and b) bring back the Louis Vuitton multicolor print that ruined the mid-2000s. Are we sure Paris Hilton showed up? Did she hire an AI robot to take her place?